It’s summer and the livin’ is easy. Even easier (and better!) with a good book. Here are our new releases for August. 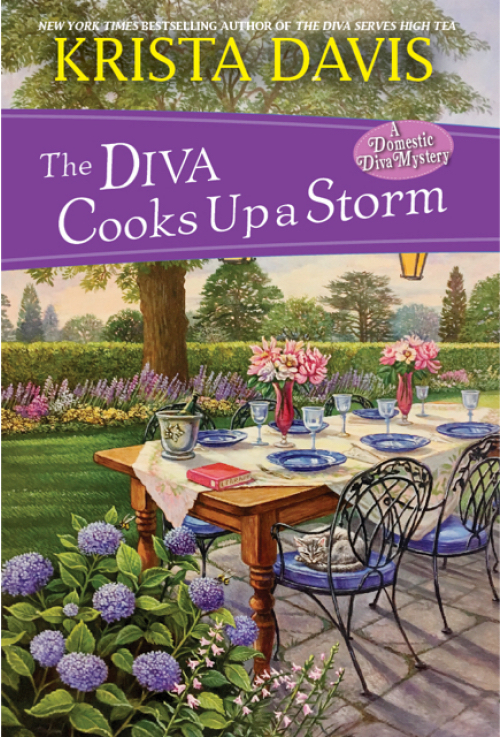 And don't miss the giveaway of THE DIVA COOKS UP A STORM at the end of this post! Normally, Emily's eyes tend to glaze over when prospective brides go on about their wedding plans. 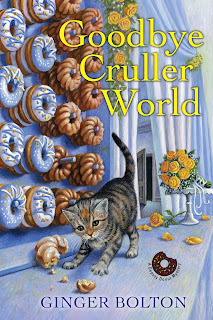 But when the owner of the clothing shop, Dressed to Kill, asks Emily to design a donut wall for her reception, she’s immediately sweet on the idea. With the help of her father-in-law and business partner—the former police chief of Fallingbrook—she hangs the treats from dowels on the wall so guests can help themselves. But that night, when the groom ends up on the floor with signs of poisoning, Emily suspects someone has tampered with her treats. 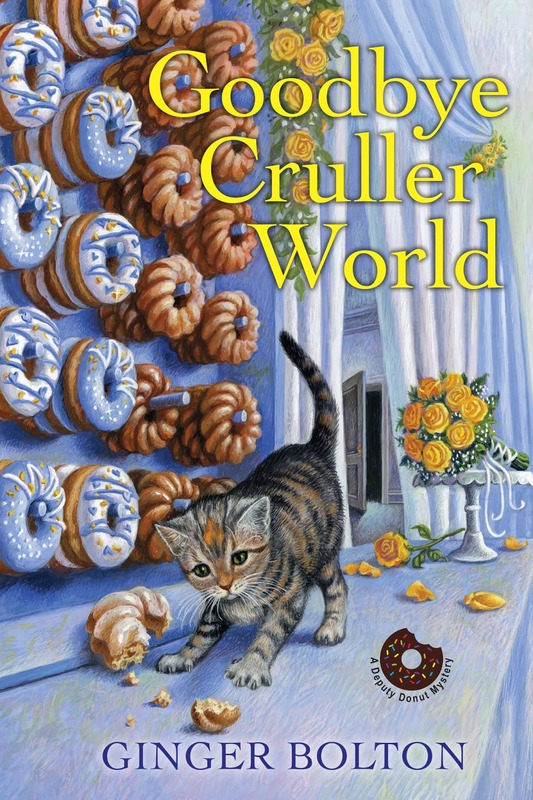 When the groom dies, there's no way to sugarcoat it: she’s got a murder on her hands. Despite a list of suspects as long as the guest list, Emily vows to find out who created the killer confection to save her shop’s reputation and keep the bride out of handcuffs. She’ll have to move fast . . . before the poisoner takes a powder. 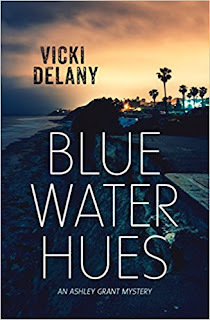 San Francisco astrologer Julia Bonatti never thought murder would be part of her practice but when her former boss and current client asks for help she agrees to go undercover at his law firm. Three people have received death threats and the only common denominator between them is a case long settled -- the infamous Bank of San Francisco fire. Julia’s astrological expertise provides clues but no one wants to listen. 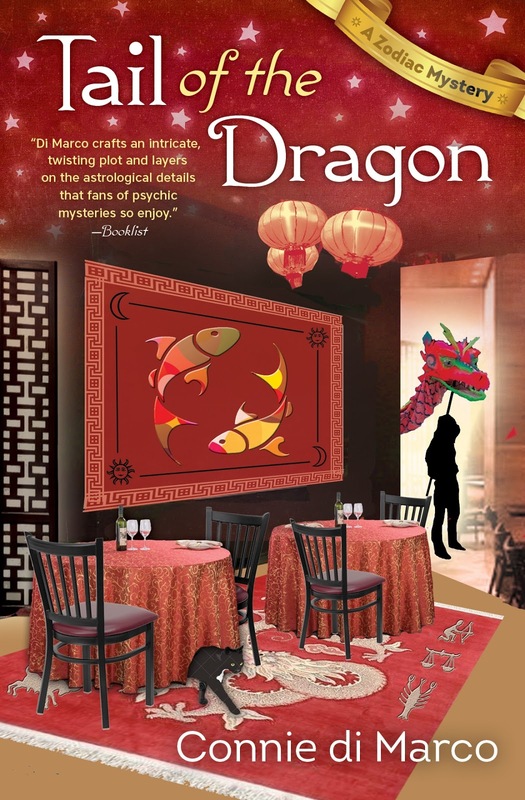 Before she can solve the mystery, two people are dead and her own life is in danger. 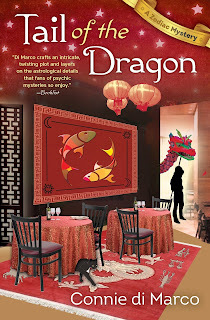 Julia must unmask the killer before he, or she, takes another life. When Sylvia Stryker boards Moon Unit 6 as uniform lieutenant, it’s with an eye on the future. After space pirates destroyed her life, the trek to Venus provides a fresh start. But when the winner of a promotional contest designed to hype the trip is found dead outside the uniform ward, sleuthing takes top priority. The amorous effect of Venus on the already frisky passengers threaten to compromise the investigation—not to mention the victim’s secret relationship with Sylvia’s boss. 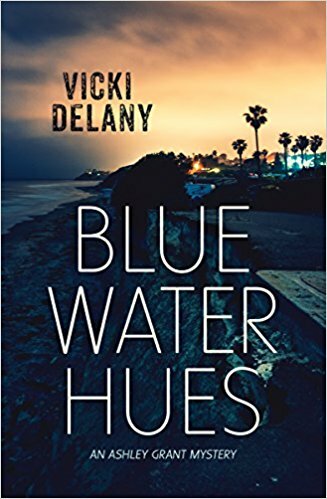 Forward thinking, back channels, and distractions on the side lead Sylvia on a pulse-pounding probe that exposes a murderer along with the surprising truth about her past. 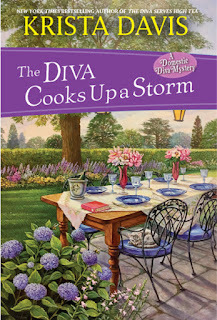 Leave a comment with your email address to enter to win a hardcover copy of THE DIVA COOKS UP A STORM! I’m looking forward to the new diva book. Happy release month to Vicki, Ginger, Connie and Diane! Thank you so much for the chance to win! I love the variety of covers with these books highlighted. Thanks for the giveaway. Lots of good reads this month & I love the Domestic Diva mysteries. Looks like a great selection of new reads for August. Looking forward to a month of good reading. I am looking forward to reading some great books this month. These books sound wonderful and I look forward to reading them. Thanks for the chance. Adding to my wish list. Thank you for the highlights. More books to put on my wish list! I enjoy books by Krista Davis. Thanks for the giveaway. Thanks for the chance to win a copy of THE DIVA COOKS UP A STORM.